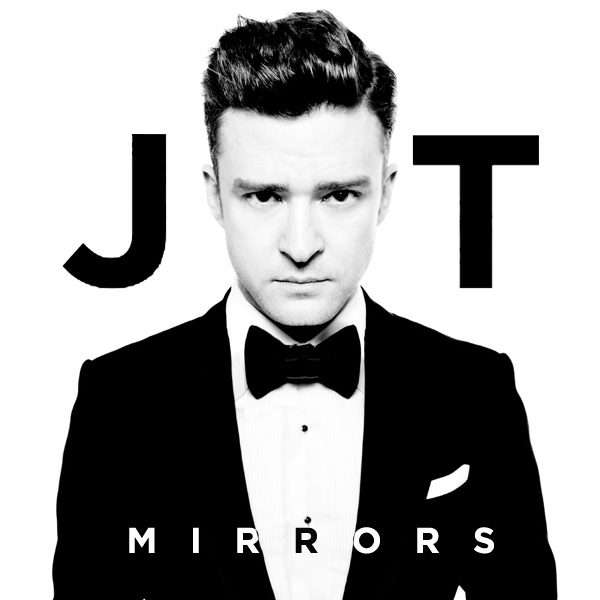 A return to the AllBum.Art hall of shame for Justin Timberlake and in our week of remixes of songs based on the use of a mirror, we find the cover of a single devoid of any reflective surfaces. Thankfully that has all been remedied in the remix, though to be fair, there is only one mirror and not the multiple mirrors that Mr Timberlake signs about. Thankfully, the babe standing in front of the mirror more than makes up for that. Double! This week, we, here at AllBum.Art are beginning a series of remixes focused around mirrors. 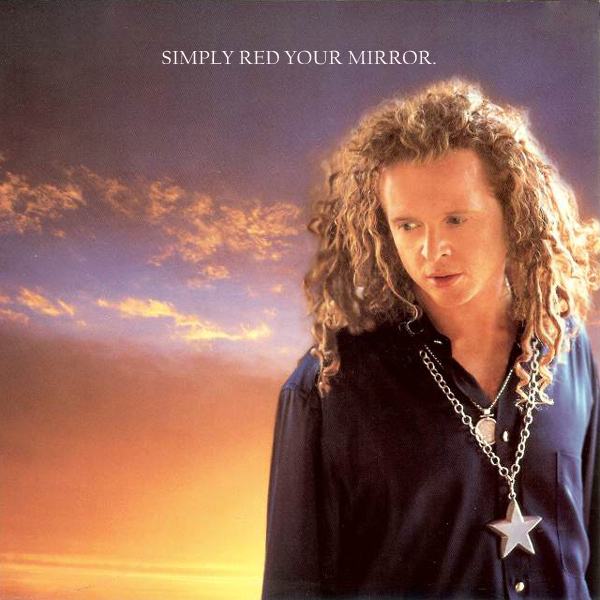 To kick us off, here is a remix of Your Mirror by Simply Red. In the original cover we see no sign of a mirror at all, but having reflected on it, we felt it needed one and so the remix shows a cut babe admiring her reflection. And what a cute reflection it is to behold. Don't know about 'your mirror' but she can use 'our mirror' any time. Reverse! A disco diva remix today, from Karen Young. 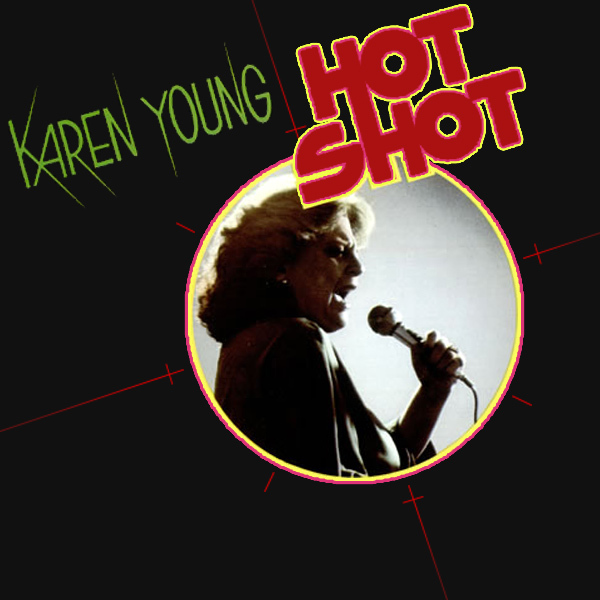 On the original cover of her 1978 single Hot Shot we see Ms Young givin' it some into a microphone. Whether she is hot or not, she doesn't seem to be shot. So in the remix Ms Young has been replaced by a different babe who is definitely hot, and who is about to take a shot. And wouldn't you know it, she appears to be stark. Duck! She's into superstition, black cats and voodoo dolls. 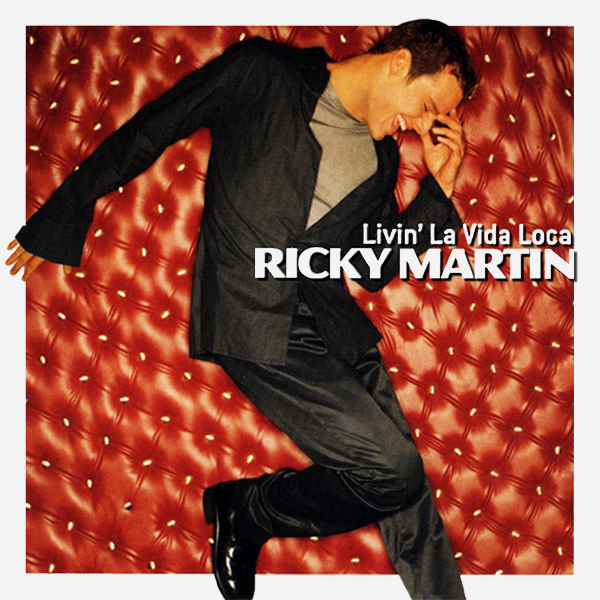 Or at least that is how Ricky Martin describes the subject of his song Livin' La Vida Loca. She'll make you take your clothes off and go dancing in the rain. Hmm, so why does the original cover artwork give us no indication of what this babe looks like. On the remix we see why... she is a latin hottie who thinks nothing of dancing naked on the tables at a diner. Bring it on! 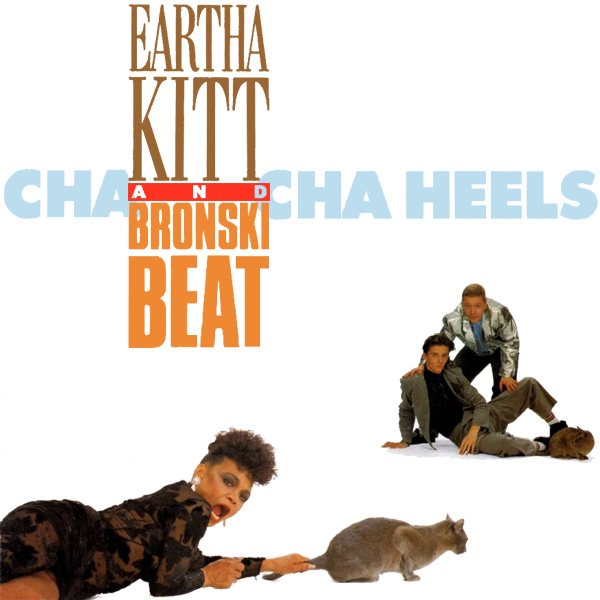 Can you see what is wrong with the original cover of Cha Cha Heels by Eartha Kitt And Bronski Beat? Well it has a picture of Ms Kitt, so it's not that. It has a picture of Bronksi Beat, so it's not that. But where are the heels that Ms Kitt sings about? The designer has cropped the photo so that Ms Kitt's footwear is not in the picture. Thankfully the remix remedies this element so that we can now see the cha cha heels in their full glory. Sadly in the process Ms Kitt and Bronski Beat have disappeared. Then again, maybe that's not so sad after all. Happy! 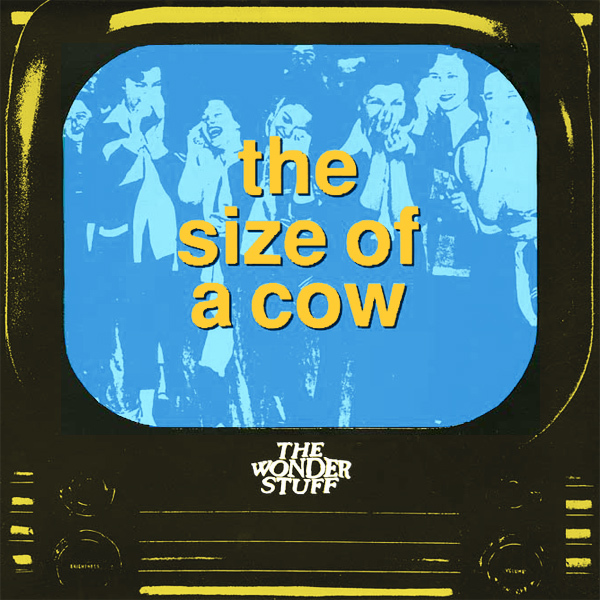 What is The Size Of A Cow? According to The Wonder Stuff, the answer to this question is to be found in an old television set that's been colorized yellow and blue. That might be OK for them, but for us here at AllBum.Art, we like something more obvious. For example, a cow is found in a field so let's begin with a field. And the size of the cow, well generally quite large. Now wouldn't you know it, the remix shows a large lady in a field. Moo! What's your idea of a Daydream In Blue? Is it a lot of badly drawn blue flowers? 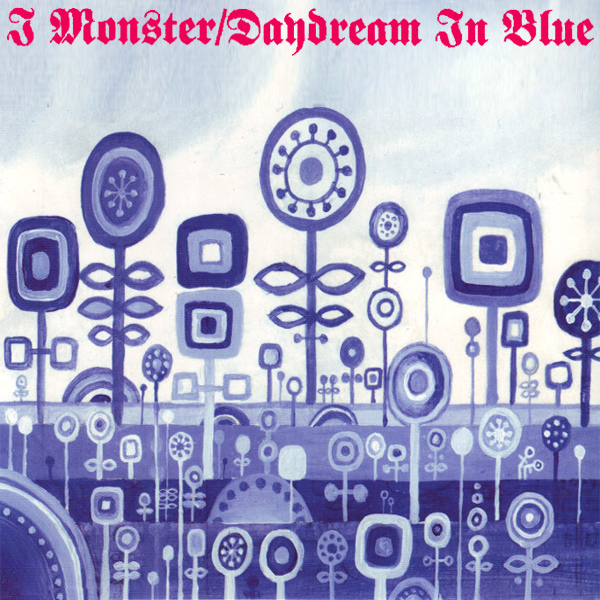 If it is, then you're on the same level as I Monster on the original cover of their 2001 single. When we close our eyes and daydream about blue things, we see something that looks more like the picture on the remix - a cute babe in blue lingerie. Now close your eyes and think about a daydream out of blue... Dreamy! Please, please tell me now, Is There Something I Should Know? That's exactly the kind of question that would spoil all the fun but then again maybe Duran Duran are spoil sports. 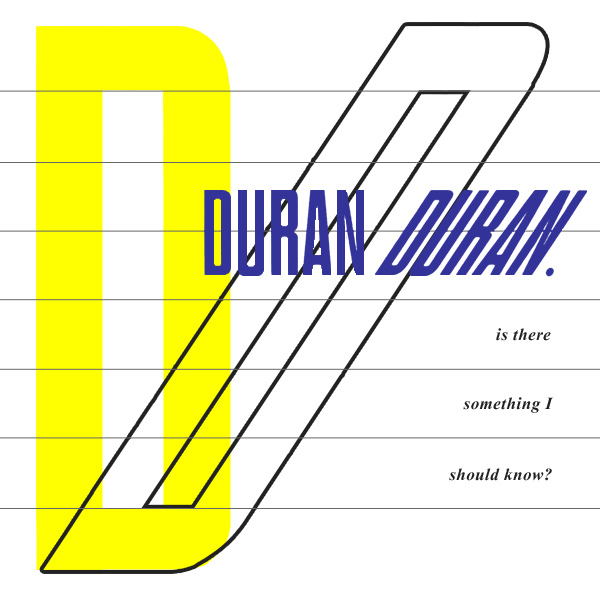 The cover of their single doesn't provide much enjoyment so thank goodness for the remix which shows a babe checking that, if there is something she should know, she's got her eye on the situation. Does she know she's standing in front of a window naked? Query! 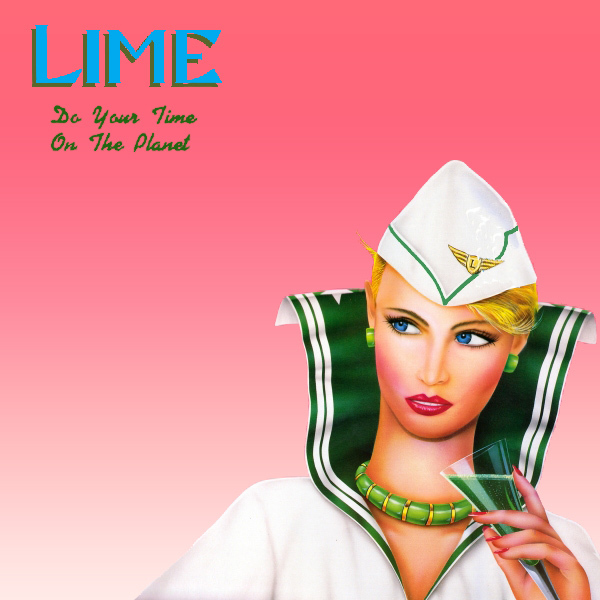 Completing our week (well just over a week) of futuristic and space-age remixes, we find Lime instructing us to Do Your Time On The Planet. Another triple-play from us here at AllBum.Art. The original cover artwork shows what could the the captain of a space vessel enjoying a dark green cocktail. The first remix is more Barbarella in nature harking back to the futuristic views of those whacky 60s film makers. The second remix shows a babe who has been locked in the brig aboard a space ship and doesn't look too happy about her incarceration. Let's hope that she repents of her crimes and is let out to roam the ship more freely. Force field! Another remix on a futuristic, space age theme. 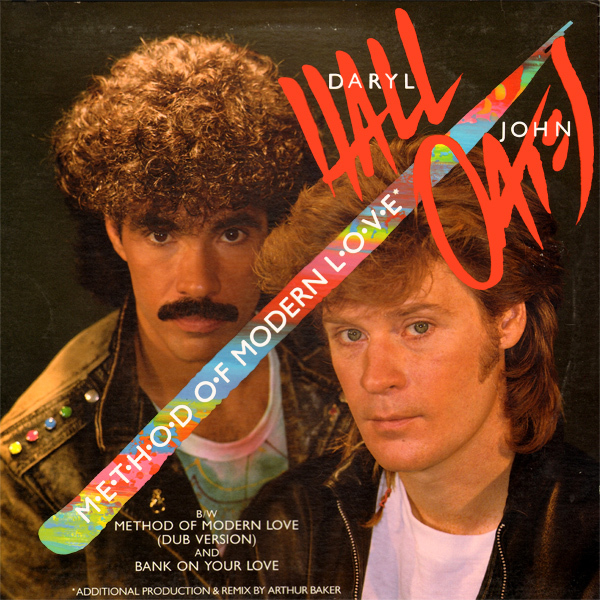 This time it's Daryl Hall & John Oates who are describing the Method Of Modern Love. Apparently, if the original cover artwork is to be believed, this particular method involves permed hair, mustaches and sideburns. Oh, and leather jackets. On the remix we discover that the real method of modern love relies on weird, metal machines on a far-away planet. And, of course, a naked babe in a space helmet. Definitely!